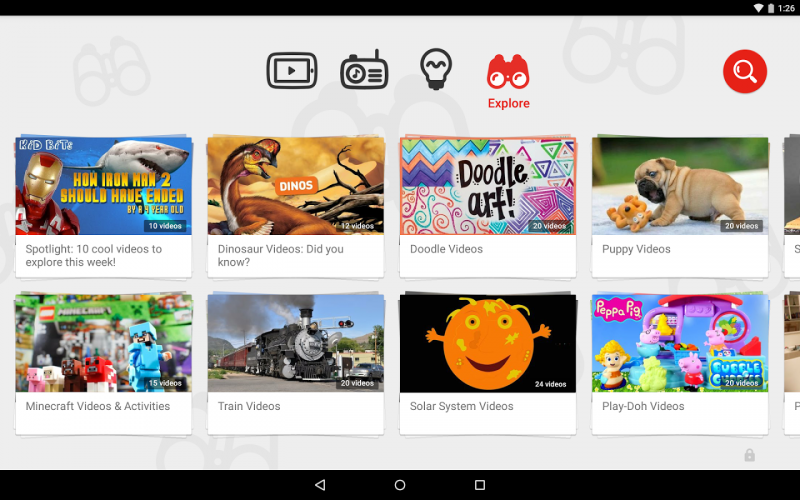 Google launched its long-rumored standalone YouTube app for kids back in February, promising a safe environment for toddlers, funded by a limited number of family-friendly pre-roll ads and no click-through to websites. According to a coalition of consumer and child advocacy groups, however, the app is exposing kids to a “hyper-commercialized” environment instead. In a complaint to the FTC, the coalition argues that YouTube Kids blurs the line between advertising and other programming using methods that are deceptive to children and prohibited by federal regulations on commercial television, with undisclosed links to products they are endorsing. "It's just one, long, uninterrupted ad," said Jeff Chester of Center for Digital Democracy. The complaint argues how Google supposedly doesn't accept food and beverage related ads, yet McDonald's has its own channel, which includes Happy Meal commercials and videos explaining the provenance of some of its food items. There are also multiple “unboxing” videos for toys, some of which have undisclosed relationships with the actual manufacturers. The complaint lists five YouTube channels affiliated with Disney’s Maker Studios that are also available on YouTube Kids. "There's no disclosure of who actually owns those channels. They're an ad, in essence, for toys." Television content aimed at children has been overseen since the 1970s, but these days kids are watching less content on TVs and more on smartphones and tablets, where these regulations don't apply. It’s also harder to establish restrictions based on ad-to-content ratios online due to its on-demand nature.